The Octopus is not purely alive but has sensations when served. Its nerves and muscles are still working and people eat it like that only. If you wish to try it than you must know that it can even lead to death because of chocking. 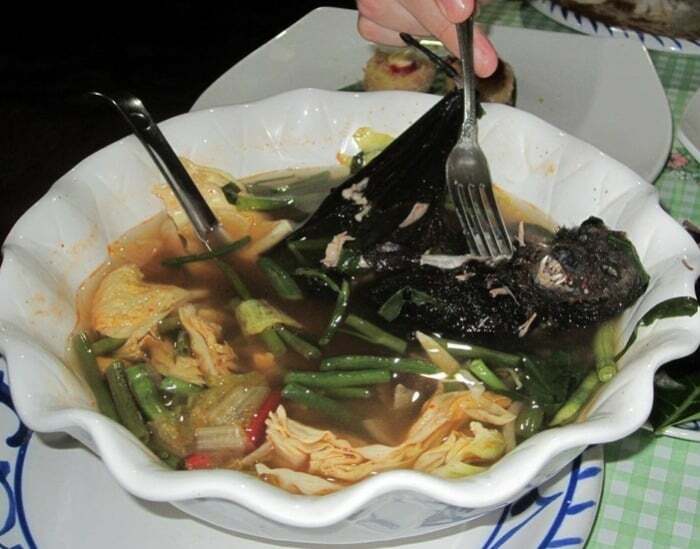 It is served in Guam, the bat is not even shaved and is served with fur. The whole bat is eaten along with eyes, wings and just everything except the bones. The soup is served with some vegetables, coconut milk, and fruits.